I did not notice this trend until Rachel Delacour, CEO of BIME, pointed out the balance between genders during a session at Stanford. That year was 2014 and she had gotten used to presenting to a class made up of male engineers. Could the digital wave be a driver for gender equality in the workplace? From the rising engagement of female students in my data classes, to their extremely competitive test results, I realize that women have a great shot at shattering the glass ceiling. For decades, data has been considered a naturally “male” world. It was defined by technology, math and coding which society had long stereotyped as a male dominated area. Selection was biased from the youngest age by traditions, inherent sexism and conformism. The big data wave created more interest and opened up the field to a broader audience. I saw more women coming to my classes but thought it was more out of curiosity. Companies today realize that a tech and data approach to their digitalization is not enough to make things work. This paradigm shift is going to take an evolution of people and processes as well. Hiring a team of data scientists and throwing algorithms at massive data lakes doesn’t make an organization pivot. It certainly can highlight new avenues for innovation and growth but it completely misses the largest part of the challenge: guide and execute the change. During my days as group controller and internal bank CFO at Remy Cointreau, I saw first-hand the pressing needs and the difficulties of digitalization: the group was in dire financial situation and analytics needed serious revamp. While I fell for the all-tech approach at first, I quickly realized that a holistic management of the problem was the only way to succeed and deliver sustainable results. I needed my team, my process and the data flows to come together in an efficient manner. Digitalization was not going to be a brute force exercise: it had to be a balancing act of hard and soft skills, of Intellectual Quotient and Emotional/Collaboration Quotient. I had to understand system logics and to know the fundamentals of data management but this expertise rapidly hit the walls of change management, real life constraints and overall fit in an organization made of people, not robots. The key to digitalization success lies in being a humanist more than a technologist. This lesson shed a whole new light on what it took to be a data-driven leader. Throughout my career, I realized with my teammates and students that it also gave women a complete set of new cards to play, that it took the battle off the tech ground and an enabled them to become key actors, if not leaders of this revolution. 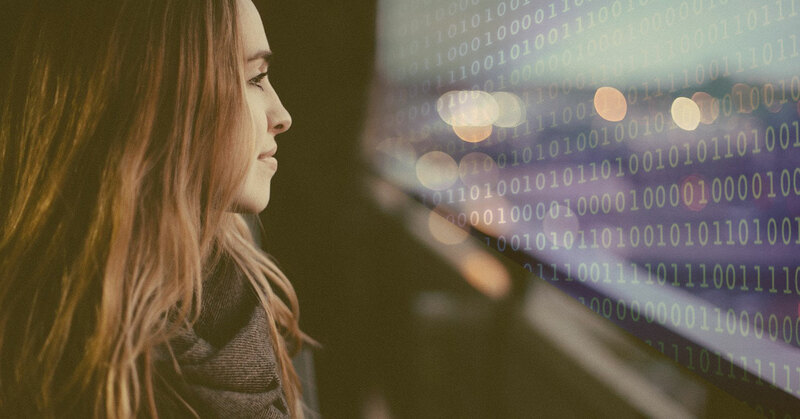 This digitalization trend is a strong engine to gender equality. While I believe there has to be constant safeguards to keep organizations in line (I personally make a point to keep 50/50 ratio of male/female in any of my teams while salary is defined in advance by budget and would never be adjusted to a gender), fostering the balance has to come from within. Winning the digitalization race will call for putting together teams that can understand all the facets of data. The inherent (and incredibly sad) bias towards choosing men for the high tech aspects of the mission will be naturally offset by the urge to get a broader competence set together to truly deliver value. Successful organizations will be the ones with the right mix in their “to become data driven” teams. Like in my classes and the various case studies I organize, competitive advantage will spawn from the synergy of diversity. Naturally finding their place in these teams, women will be more equipped to make a difference. Mastering digitalization will offset many of the sexism pressure: strong voice, fist on the table and lewd comments won’t stand a chance in front of a solid arsenal of fact-based insight. Organizations are figuring out that their best chance of survival doesn’t reside in following the toughest voice and the figures of the past. They will also foster the emergence of leaders that can set teams on the path of change, that dare to ask the right questions to data, that have culture and sensitivity to look at problems differently, that have been trained to fight status quo and bad habits. All qualities that are obviously gender neutral and for which society hasn’t set any male biais. As companies engage in a new deal to fight digital darwinism, the pressing need to build the right teams will naturally call for more women. And bringing more women to the command room will naturally contribute to produce more female great leaders for tomorrow. Over the past 2 decades, my students and data teams have been the perfect illustration of this trend, and I saw amazing women soaring to positions and responsibilities where they made great impacts. One class at a time, one recruit at a time, one mentoring at a time, we can all contribute to making gender equality a problem of the past by using the digitalization springboard. I dedicate this blog to Anna, Laura, Marion, Moniza, Margot, Dannah, Tiphaine, Manon, Ombeline, Reena, Katherina and all the students I had the chance to work with and who all humbled me in how they harnessed the digital challenge. May I get the chance to work for them one day.